The earnest desire of every man is to have that huge income flow but most times getting that job that guarantees that is not easy to come-by, So in this case one has to make do with what is available at the moment. In this very piece i will outline and explain the various ways to effectively maximize that low income that you earn so as to satisfy your needs. Every debtor is a slave to the creditor. 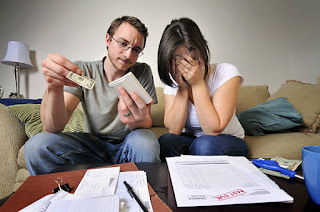 Try your best to live a life free of debt cause when one's income is dependant on a salary you see that once you owe someone and you are expectant of your salary come month end, the majority of the salary goes to your creditor living you with little or nothing after remitting your debts. I know that most times it's very difficult to avoid but if you can try your best possible to avoid debts so that your income can be used for other important things. Almost everyone would love to live that luxurious life no doubt but with low income that kind of life is just unattainable. Try to be contented with that little you get and not try to live that life or buy that expensive cloth and shoes because Mr A/B bought, my dear all fingers are not equal and to everything on earth there is a season. Be satisfied with that less expensive cloth and shoes at your disposal, your season will surely come. In life we have needs but basically some are more important than the others it's now left for you to ascertain which one to discard in order to satisfy the other cause sometimes we tend to neglect this little things and end up doing the wrong things at the right time. Draw a chart representing those most important needs of yours so as to help manage that low income flow. People spend a lot on transport on daily basis without knowing, well that's not a big deal if you have that huge income flow but when your income is low you just have to trek more and spend less on transport. I an not saying that you should trek a thousand mile on a daily basis, that's not my point. My point is this; some people do not like to stress themselves at all thereby spending a lot of money jumping from one cab to another when they could actually decide to stress those legs a little and use the money for some other vital needs. So try your best to spend less on your transportation and stress those legs a little, it's part of exercise you know.. It is very important that you outline specifically what and what you will spend your income on before it comes so that you do not get confused and utilize your income on irrelevant things. Proper planning can help maximize that low income of yours effectively. It is not enough to have that perfect plan and expect it to work out perfectly. It is very important that you stick to that very plan of yours and not let anything or anyone make you do otherwise and in the process you end up deviating from your earlier plan which may lead to some miscellaneous spendings that are irrelevant. So always stick to that plan of yours no matter the pressure. In conclusion: it is not about how much you earn but how well you spend. "Keep that in mind". Wonderful advice! I'll try and apply as much as I can. Please do, it will help. You are right planning and setting priorities are important. Great tips. Thanks for sharing it. Yes they are, thanks for stopping by as well. So glad you could relate to it and thanks for making out time to read as well. All excellent points. My husband and I are doing well but you never know when you may need to budget. These are some great tips - it is really hard when your budget suddenly lowers, it should 100% be something people are ready for. It is not easy to live off a small salary but it is possible. The key is spending less than you make. Such an important post! While I always set my priorities and avoid debt, I just can't be contented which is where everything goes downhill. Thanks for the reminder!! Yes, these are some great tips. I think sometimes people live wayy beyond their means and then seem baffled when they are in debt. I loved on a very low income for a very long time. It was hard but with a good budget and planning, I was able to do it and really thrive with no debt. These are some great insights when it comes to surviving on a low income. It reminds me of the game called Cashflow 101 in which those on a low income always seem to be able to escape the rat race sooner compared to the doctors and lawyers. They say that it doesn’t matter how much you earn but how much you save from your earnings. These are all practical tips that we can do. Great tips. It is so important to be contented with what we have and plan for a better income. It always hard to manage a good income, thanks for sharing. This is a lot of great information. As long as you have self discipline, you will be ok! I totally agree! I recently started to use a budget sheet and realized my spending was way out of control...specifically take out. This is a really useful post with lots of tips and ideas.Budgeting is very important. As someone living in this situation I find it difficult sometimes to not have financial freedom. This is very motivational! Great pieces of advise, especially avoid debt! Thanks for sharing! These are some great tips. Thanks for the reminder!! These are some great tips about managing income. It is definitely really important to make a budget plan and to stick to it. Thanks for sharing!